Getting through it on her knees. A few years ago I got a wonderfully encouraging letter from my Aunt Opal. Aunt Opal was my grandfather's kid sister. There was enough difference in age between them that she could remember getting lost in the woods and having her big brother find her, carry her home, and promise not to tell their mother. I figure probably 9 to 10 years there. Anyway, when my grandpa passed, his siblings became that much more important to me and I relished receiving cards and letters from my great aunts. One time Aunt Opal told me how pleased she was with my little family and told me that she often thought of how much it reminded of her own mother and her brood of ten healthy, active mischievous children. She wrote that she sometimes wondered how her mother got through it, and then she remembered that she often saw her mom (Grandma Werty) on her knees in prayer. The thought of that dear lady on her knees praying for the strength, wisdom and endurance to get through another day of motherhood has stayed with me for many years. Grandma Werty was a wonderful strong and Godly women from what I could remember and all these years later her daughter felt that way about her as well. What a testimony to this woman's quiet prayerfulness. I remembered mentioning this to Mr. Pete a few times about how much I admired my great grandmother and my aunt and their prayerfulness. 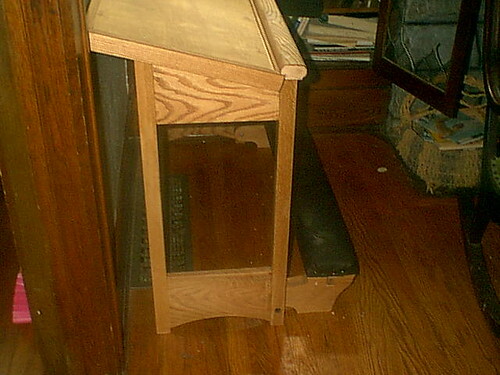 The kneeler is padded and is just the right distance between my body and the built in book rack. 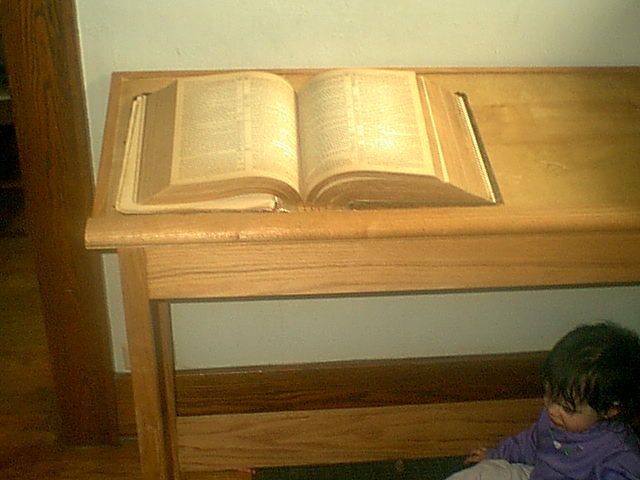 The book rack on the kneeler is large enough to hold several bibles and other religious books. 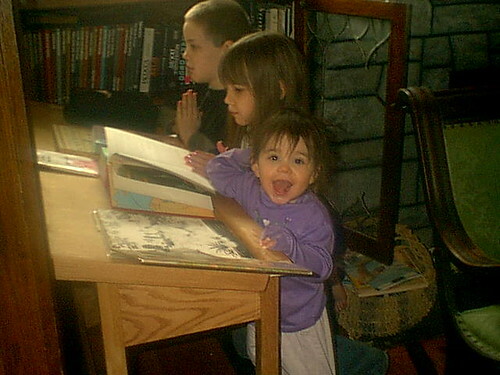 I try go keep our family bible there and also the picture books of the saints or other stories the children and I are reading together. 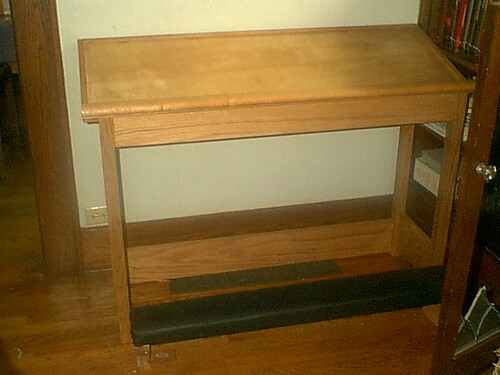 So as a result of my dear great-grandmother's devoted prayerfulness, and the impression it made on my loving aunt, and the tender sweet words of encouragement she sent to me, my husband labored in love to give me this beautiful wooden kneeler for us to pray together.